HDFC Bank declined 1.15% to Rs 1154.70 in afternoon trading in spite of reporting 34.24% increase in net profit in Q1 June 2007. The quarterly outcomes were declared during the market hours today 10 July 2007. The scrip hit an intraday high of Rs 1185.95 and an intraday low of Rs 1145.60 during the day. On 28 May 2007, it has had its 52 week high of Rs 1274 and a 52 week low of Rs 693.10 on 19 July 2006. The world's largest maker of healthcare products – Johnson & Johnson will begin a USD10 billion share buyback program. This repurchase program will help the company to continue investing in future growth opportunities. The Oswal Group flagship firm Vardhman Polytex announced that the company will raise 10 million dollars through the issue of Foreign Currency Convertible Bonds (FCCBs) in overseas market. Vertex Spinning climbed up 5.51% to Rs 20.10 in afternoon trading after the company declared that Syndicate Bank had finished evaluation of its planned Rs 512 crore cotton spinning project in Maharashtra. The company made the declaration after the trading hours. 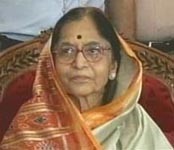 Patna: UPA-Left presidential contender, Pratibha Patil, Tuesday showed assurance about her triumph regardless of the opponent attacks to tarnish her reflection. The BSE Sensex or Bombay Stock Exchange Sensitive Index, or more popularly SENSEX surged by over 60 points to scale yet another high of 15,106.25 points in early trade today on sustained buying by funds in heavy-weight stocks. Closed at 15,045.73 gaining over 81 points yesterday, The BSE-30 share Sensex gathered another 60.52 points to rise to the record intra-session high of 15,106.73 in the first five minutes of trading. The stock market broadened and saw new peaks as projected and creating history by reaching the historical 15000 mark. Now the market is trading in blue sky territory. Technically the tendency is still unbroken and there is no symbol of failing though the stock market is in a extended terrain. The other logical technical target in the days to come is 15379. Today, the shares of Mumbai-based construction company Roman Tarmat listed (July 9) on the NSE and the BSE. Shares of the company opened up at a premium of Rs 120.00, or 68.57%, at Rs 295.00, greater than the issue price of Rs 175.00, at the Bombay Stock Exchange. The overall volume of shares traded was 1,667,036. The 30-share BSE Sensex continues to trade firm after opening positively at 15,018.71. It touched a high of 15,075.30. The stocks from IT and auto led the advances. Asian markets boosted in the early trading sessions on signs of rising economic growth in Japan and South Korea and also because of the increase in the prices of oil. The BSE Sensex made 313.61 points during last week. 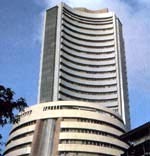 The Sensex touched the highest level of 15,000. The stock index took up 146 days to cover up the journey from 14,000 to 15,000. This was the longest period ever to breach 1,000 points. Strong inflows from FIIs, healthy economic development and remarkable corporate profits were considered as the chief drivers. Stone India ascended 5.95% to Rs 188.90 on getting orders from Indian Railways for supplying 5 sets of static converters. This is a high value solid state product to be provided under partnership with SMA Technologies AG, Germany. The scrip hit an intraday high of Rs 199.85 and an intraday low of Rs 180 during the day. On 29 August 2006, it touched a 52-week high of Rs 278.80 and a 52-week low of Rs 104.30 on 30 April 2007. Development finance company IFCI climbed to a profit of Rs 2,468.6 million for the quarter ended Jun. 30, 2007 as compared to a loss of Rs 156.10 million in the same period of the last year (Jun. 30, 2006). The Indian lender recorded profit of Rs 2.47 billion ($61 million) in the three months ended June 30. The earnings came up to Rs 3.5 billion in the three months to June 30 from Rs 2.52 billion. The company’s operating income grew 38.86% to Rs 3,499.50 million for the quarter as against Rs 2,520.10 million for the corresponding quarter last year. Birla Kennametal, Zenith Birla and Birla Power Solution were up 5% to 8% on reports that the Yash Birla Group has determined to reorganize group firms as part of a plan to modernize operations. Birla Kennametal gained 4.99% to Rs 401.90, Zenith Birla up 8.26% to Rs 39.30, Birla power Solution gained 6.23% to Rs 34.10 and Dagger-Forst climbed 4.95% to Rs 51.90. New Delhi: Rohan Bopanna got the singles title in assisting himself to a double crown in the $50,000 Shelbourne Irish Open Challenger tennis tournament at Dublin. Bopanna sealed his maiden Challenger singles name with a 6-4, 6-3 verdict over qualifier Martin Pedersen of Denmark in the final. 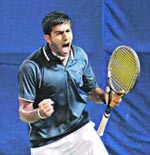 Previously, Bopanna won the doubles title partnering Adam Feeney of Australia. New Delhi: After a prolonged struggle with cancer, the former Indian prime minister and socialist legislator Chandra Shekhar (80) died of cancer in New Delhi hospital on Sunday. Shekhar headed a coalition government for a short period in 1990-91. He is survived by two sons. Mr. Chandra Sekhar breathed his last at 8.45 a.m. at the Apollo Hospital, where he was admitted in May. He was suffering from multiple myloma, a cancer of plasma cells. Phnom Penh: In order to strengthen economic and energy ties, Cambodian Prime Minister Hun Sen left for India on Sunday. India and Cambodia are expected to sign up various accords, including one in the area of oil and natural gas. According to an official press release, during his visit to India, Hun Sen will meet with Indian President Abdul Kalam and also hold official discussions with his counterpart Manmohan Singh. This July, as the Indian Stock Markets witness high voumes and higher Price to Earnings Ratio, our team finds the best picks for you. BSE sensex and NSE are hovering around their All time highs, Topnews checks with analysts to find the next levels for the Indian Markets. As on Jun. 22, 2007, the credit paid out by scheduled commercial banks arose 24.6% (Rs 3,746.74 billion) on a year-on-year basis. The Reserve Bank Of India (RBI) in its weekly statistical supplement of Jul. 6, 2007 reported that the disbursals as on this date were Rs 18,958.01 billion. In the corresponding period of 2005-2006, the bank credit rose 31%. Therefore, the development in credit abridged for the week ended Jun. 22, 2007, entailing that RBI’s decision of lessening the monetary policy has produced worthy outcomes.